Woodland wanders, park trips and soggy weekends by the sea – this fully waterproof coat is up for just about anything. Storm cuffs, poppers and zips keep those dreaded drops out, while pockets on both the chest and hips are handy for super-duper important stuff, whether that's useful sticks or pretty sea glass. 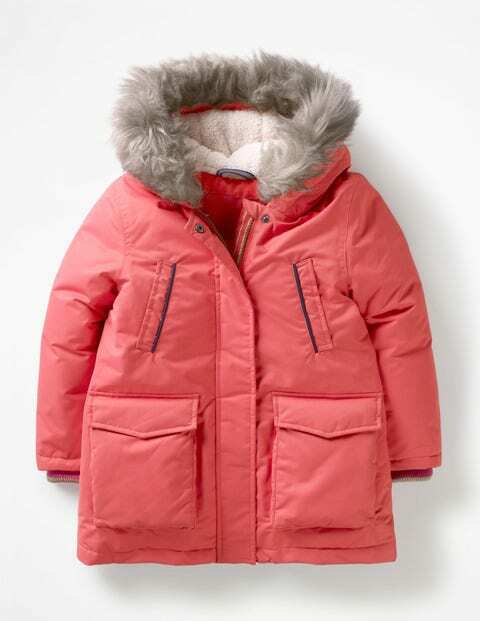 The sherpa-lined hood is fringed with contrast faux fur for added toastiness.